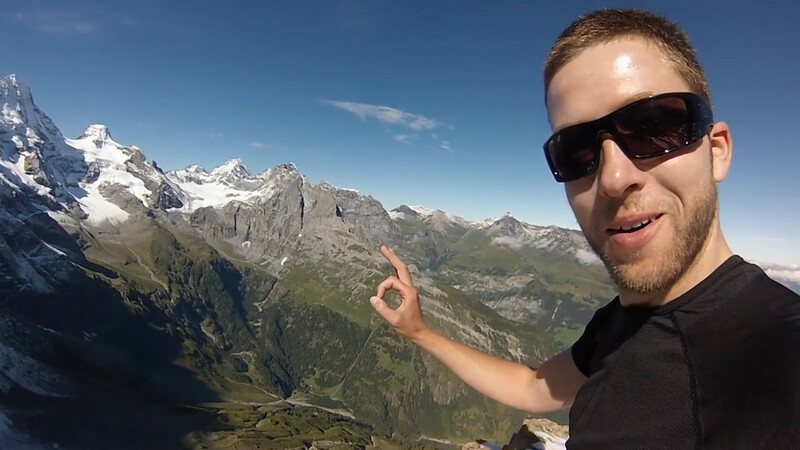 Viral daredevil, Uli Emanuele, known for his jaw-dropping and death-defying stunts, has died while filming a base jump for GoPro. The extreme sports fanatic was videoing himself jumping off a mountain top in Italy, however he lost control and crashed into the rocks far below before he had a chance to open his parachute. Uli was only 29 at the time of his death last Wednesday and was filming a stunt for GoPro on the Dolomite Mountain Range in Northern Italy, reports The Sun. Uli had dedicated his short life to finding rare extreme places in the world that had never been jumped from – and then jumping from them. Just hours before his death, Uli took to Facebook to say ‘ready to open a new jump’ while he was over 10,000 ft high on the Dolomite mountain range, but sadly things didn’t go to plan. The adrenaline junkie started his career as a parachutist but quickly made the leap to more terrifying stunts, which led to his rapid rise in viral popularity. Uli’s most famous stunt was one filmed last year when he jumped from the top of a Swiss mountain and dove through a 2 metre wide gap in a boulder. The video terrified people across the globe but earned Uli a lot of respect in the daredevil world. Our thoughts go out to Uli’s family and friends at this sad time.